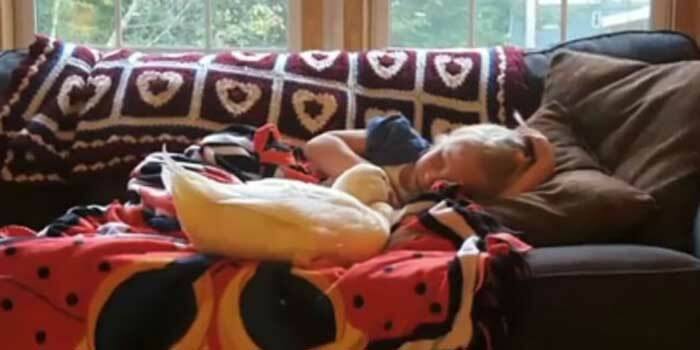 FREEPORT, MAINE — Man’s best friend has a different meaning for a little girl and her pet in Freeport, Maine. There are dozens of pet toys in 5-year-old Kylie Brown’s room. But her real-life pet, Snowflake the duck, can’t always come inside to play. “He was like 0-years-old I named him,” Kylie says. “We’ve had dogs, mostly. She had a couple of gerbils … She loves animals,” her mom Ashley Brown said. Brown said she’s never seen an animal love somebody back like Snowflake loves Kylie. Snowflake follows Kylie everywhere. Her mom says it started on Day 1. “We brought him home. This little yellow furball is squawking in a box, and Kylie walked over to the box and leaned in, and he was quiet,” she said. They’ve been inseparable ever since. “Everywhere she went he was quiet and if she went missing, he would squawk and panic,” Brown said. During the past six months, Kylie and Snowflake have played at the beach, on a swing set and on Halloween he rounded out their “Frozen” costumes. Snowflake dressed as “Olaf” the snowman. “They are best friends, but in his eyes, she’s mama. She’s mama duck,” Brown said. Brown said Kylie cares for Snowflake like a child. He waits for her at the bus stop to get home from school and she makes sure he gets in his nap in the afternoon. “I’ve seen her grow up. She’s become very responsible. She takes very good care of him,” she said. Brown doesn’t know what bonded her daughter and duck that first day but whatever it is, its taught them love comes in all shapes, sizes and species. “He’s family. He’s definitely family,” she said.